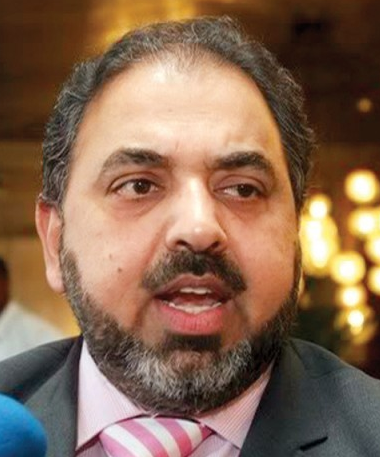 Just when we thought he’d shed his anti-Semitic ways, Lord Nazir Ahmed, the disgraced member of the British House of Lords and former member of the Labour Party, did it again. Iranian Press TV reported Friday that Ahmed blamed the ‘Zionist lobby’ for the decision of international satellite providers to ban the broadcasts of several Iranian news outlets, including Press TV. ‘Freedom of speech, and freedom of expression and freedom of media should be universal and it’s very unfortunate that the Zionist lobby does not like Press TV and many of the other outlets of Iran and that’s why the pressure is so much that they need to be switched off,’ Ahmed was quoted as saying. One of England’s first Muslim men to be appointed to the House of Lords, Lord Ahmed was suspended in March from his party after he allegedly placed the blame for his dangerous driving conviction on a Jewish conspiracy. Soon after he was suspended, the Pakistani-born Ahmed ‘completely and unreservedly’ apologized to the Jewish community for his remarks. In an interview at the time with Huffington Post UK, Ahmed said that he had ‘the greatest respect’ for the Jewish community. Ahmed resigned from his party in May, just days before a scheduled hearing over his anti-Semitic remarks. At the time, his attorney said that he did not believe that the Labour Party would have given his client a fair hearing. In May, we reported that Lord Ahmed had resigned from the Labour Party shortly before facing a hearing over alleged anti-Semitic comments made in connection with his drunken-driving arrest.